Ninja Theory, the developers of Hellblade: Senua’s Sacrifice, announced today that they will be fully funding a scholarship which will fund the training of one student a year to become a Mental Health Tutor. Dubbed ‘Senua’s Scholarship‘, the award will be provided to one student per year who is studying at Cambridge Recovery College East. This funding will allow that student to become a mental health tutor. Cambridge Recovery College East was one of the collaborations Ninja Theory made on Hellblade. The announcement was accompanied by a video on the Ninja Theory Youtube Channel. Also, a brand new feature has been released that focuses on Senua’s Psychosis, which can be found below. Hellblade: Senua’s Sacrifice released last August and was praised for how it represented Psychosis and mental health in a respectful manner. The game takes place in a mythological world and focuses on Senua. She is a Celtic warrior who embarks on a haunting vision quest to save the soul of her dead lover from Viking hell. Created in collaboration with neuroscientists and people who experience psychosis, the game will pull players deep into Senua’s mind. 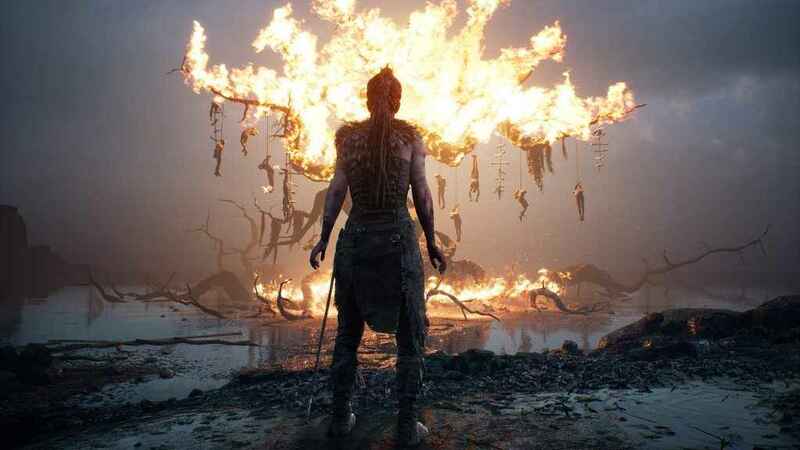 Ninja Theory just announced that Hellblade would be receiving a retail release on PlayStation 4 in December. No disrespect but this is not gaming news or PS4 news.